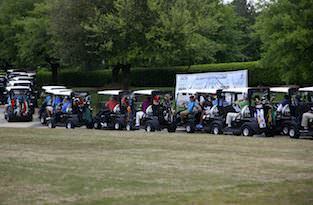 ACN is passionate about giving back to our community and around the globe. Ronald McDonald House Charities provide a “home-away-from-home” for families, allowing them to stay close to a hospitalised child. Greg Provenzano has a deep commitment to personal growth, and inspires others to work on their personal lives as hard as they work on their businesses. Greg is a leader and motivator to ACN's Independent Business Owners (IBOs). He shares the company's vision with them, as well as ways to improve their businesses and their lives. Greg communicates with Independent Business Owners (IBOs) daily, encouraging them and helping them stay focused on their goals. Read Greg’s Blog (available in English only). Robert Stevanovski focuses on ACN’s product portfolio. He makes sure the company is always providing the best products and services to its customers, and that the ACN home-based business is leading the direct-selling field in offering essential home and small business services. Robert consistently monitors ACN’s portfolio, ensuring that the company stays on the cutting edge of technology and offers a balance of options for every customer’s lifestyle. Tony Cupisz ensures that every Independent Business Owner who joins the business has the tools they need to excel, as long as they follow the proven business model. A natural coach with enthusiasm for direct selling, Tony shares the ACN vision with leaders throughout the world. Mike Cupisz and his prowess at building relationships has helped ACN expand across four continents, and made it possible for those joining ACN to immediately create a global business. When he is not devoting his time to evaluating new countries for ACN’s continued global expansion, Mike is meeting with ACN’s international leaders to support them in their daily lives. 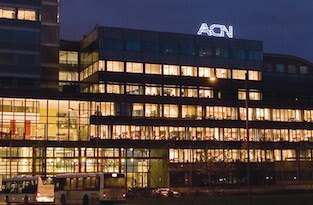 The ACN European headquarters is the home of everything you need to run your business, so make sure you come by and visit!